As a nutritionist I’m often asked “What are the foods you would never eat”? My immediate reaction is that I eat everything and anyway, my mantra “realistic, practical and achievable” when it comes to healthy eating suggests I should be recommending everything in moderation. However, with a little more consideration, this is a great question, because I realised that there are things I just wouldn’t eat! Let me clarify – this means as a rule, I don’t buy it, order it or choose it…..except on that one off occasion when I might veer from this…once every few years for example! Very rarely will I drink a fizzy drink and it’s not for the obvious reason. 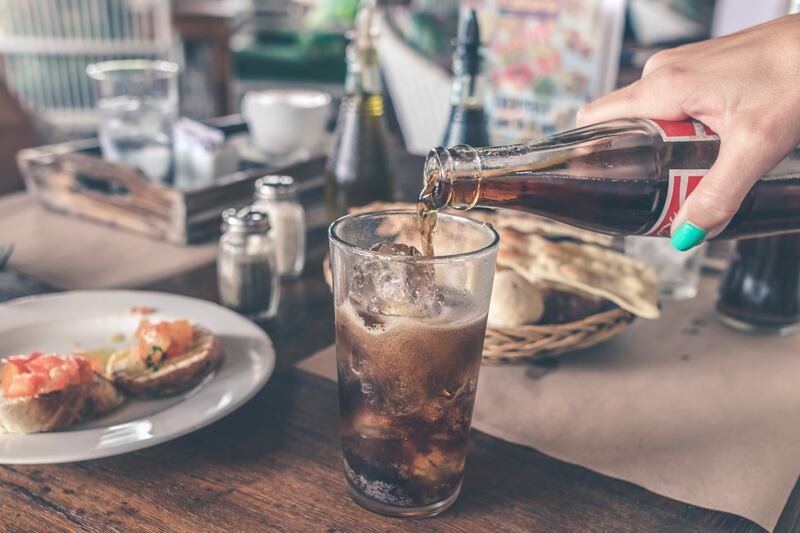 Most people know that fizzy drinks are not a great choice; sugar loaded and sky high in calories, that ice-cold glass you opt for is certainly not a great choice. But did you know that it is also the “fizz” itself that can be damaging for you health; bone health in particular. Your body compensates for the high acidity the fizzy drink has caused by leaching calcium from your bones, as an alkaline buffer. Long term, this is not good news and can result in osteoporosis. Cola in particular, with its additional caffeine content, has been shown to impact bone density. Are you tempted to reach for “healthier” spread alternatives to butter? Whilst most margarine brands have now removed dangerous trans fats in order to comply with government health regulations, most will still be made up of highly processed vegetable oils, which do not provide the health benefits you seek. 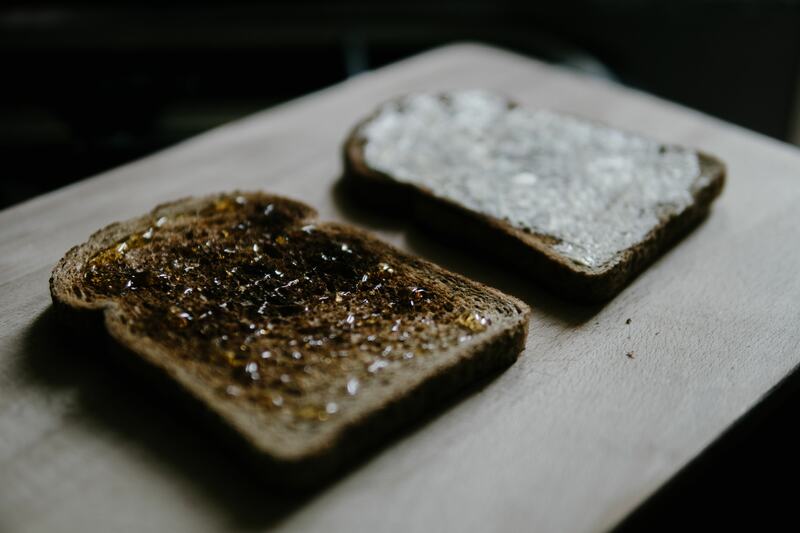 Opting for butter every time, you know you’re eating a natural and nutritious option that will not sabotage your health. Grass fed organic is best and, in terms of quantity, butter should still be eaten in moderation. 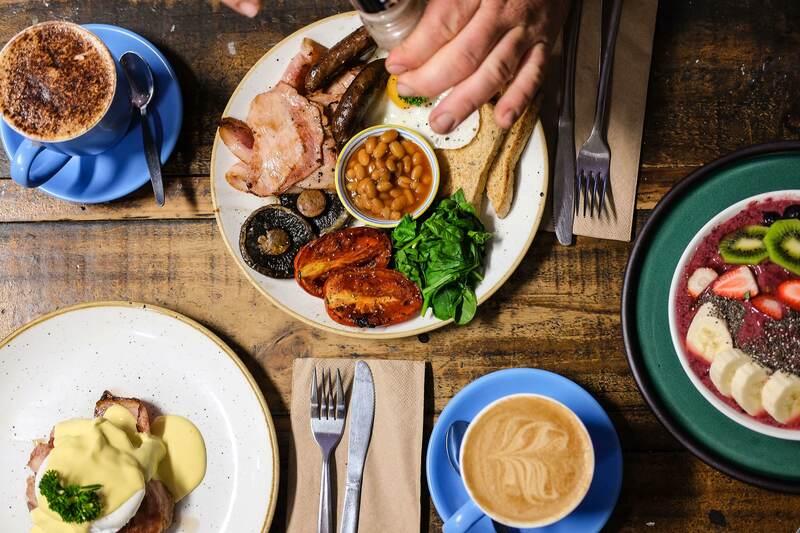 I know this is a staple in many households but I’m not going to hold back on this one……bacon is a highly processed meat, packed with sodium and often laced with cancer-causing nitrates. Along with other processed meats such as salamis, sausages and hot dogs, these are one of the unhealthiest foods that unfortunately feature far too readily in food choices. I am a huge advocate of cooking from scratch and if you follow my Instagram and Facebook accounts, you’ll see how easy it is to put a healthy meal together. I know exactly what’s in the food I’m eating. Why would I then opt for a highly processed meal that contains ingredients such refined flour, salt, additives and preservatives; all things that do not nourish my body and the systems in my body will consequently have to work hard to remove? Contrary to the healthy, wholesome advertising we are exposed to, these yoghurts don’t come close to being a healthy choice. Loaded with added sugar, and minimal quantities of fruit, they should be avoided completely. However, a natural plain yoghurt, topped with a healthy portion of real fruit, fresh/frozen, brings this breakfast or snack choice back into the realms of healthy eating. A breakfast favourite in many households but not in mine! 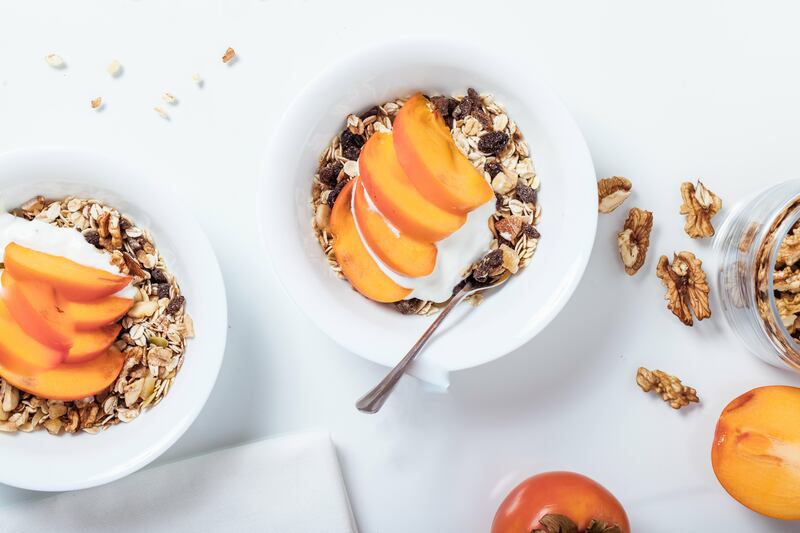 If it’s a quick choice you’re after, it doesn’t take significantly longer to whip up a batch of eggs whilst a slice of wholegrain bread is toasting or even to scoop a couple of tablespoons of natural yoghurt into a bowl and top with nutritious nuts, seeds and fruits. Porridge oats are also a speedy choice and that’s on the stove in a saucepan and not in a microwave. Not only quick but these breakfast choices are nutrient dense meals to kick start your day. 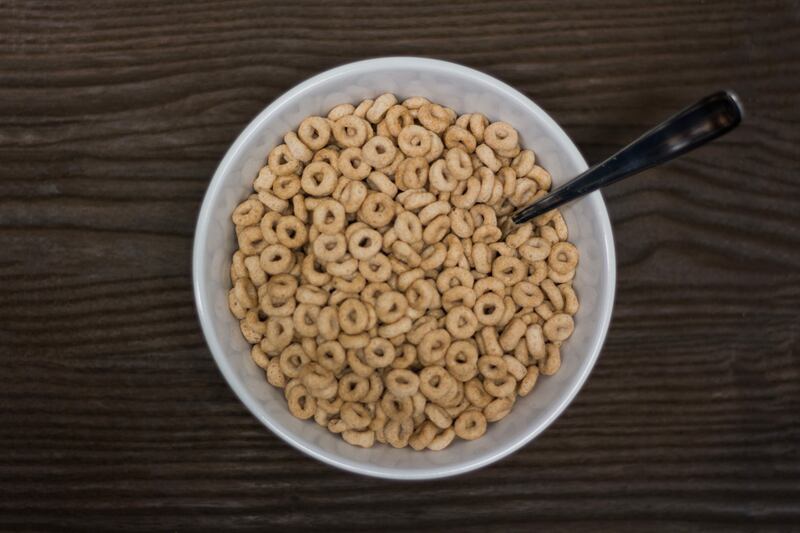 Boxed cereals are targeted at children who are unaware of the dangerous choice they are eating; very high in sugars, very low in protein and lacking in fibre and healthy fats, these easy breakfast foods are certainly not a nutritious choice. 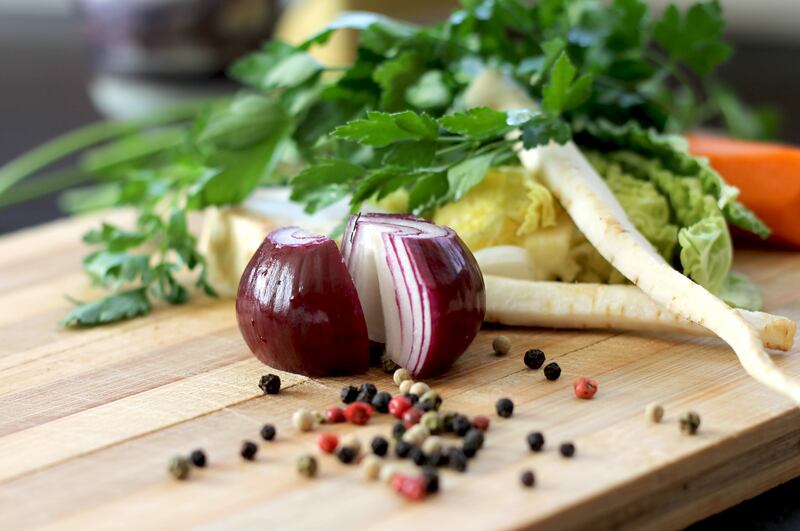 So you’ve taken the time to put together a fabulous combination of colourful nutrient packed vegetables and you reach for a seemingly healthy ready-made, perhaps even fat-free, salad dressing. That final addition can completely negate the health benefits you originally had intended. 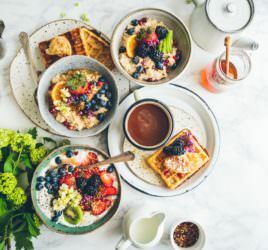 Many shop-bought dressings will be loaded with sugar (particularly if it’s labeled “fat-free”) and will also contain nasties that our body simply doesn’t need, such as preservatives, thickeners, emulsifying agents and flavourings etc. What’s wrong with combining a little lemon or vinegar (which helps with digestion) and olive oil (providing essential oils and antioxidants) for an incredibly simple homemade version? 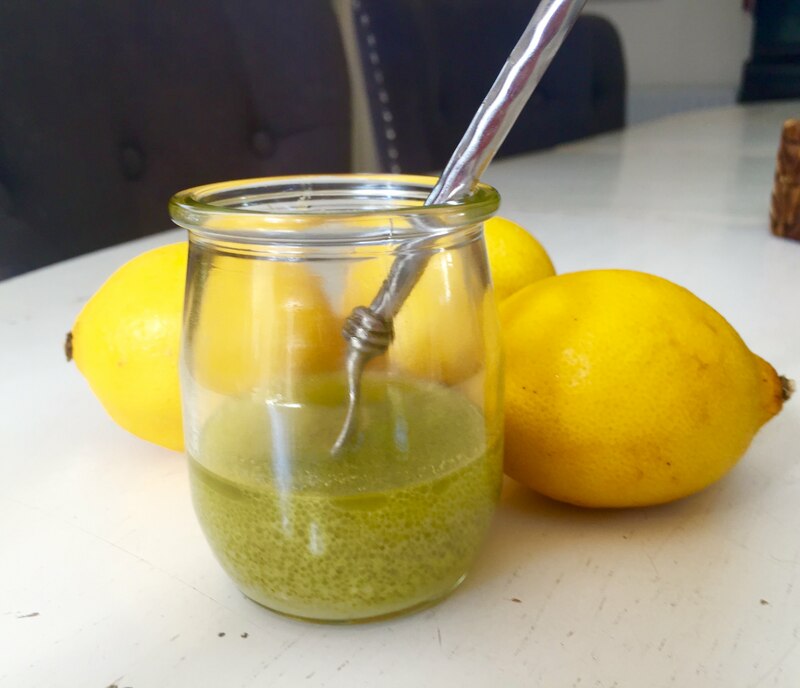 Here’s a simple recipe for a Creamy Lemon Dijon Vinaigrette that you’ll use over and over and you’ll never need to resort to these EVER again! and one more that I’m not wild about…. Touted as a low-fat (almost “calorie-free”!) 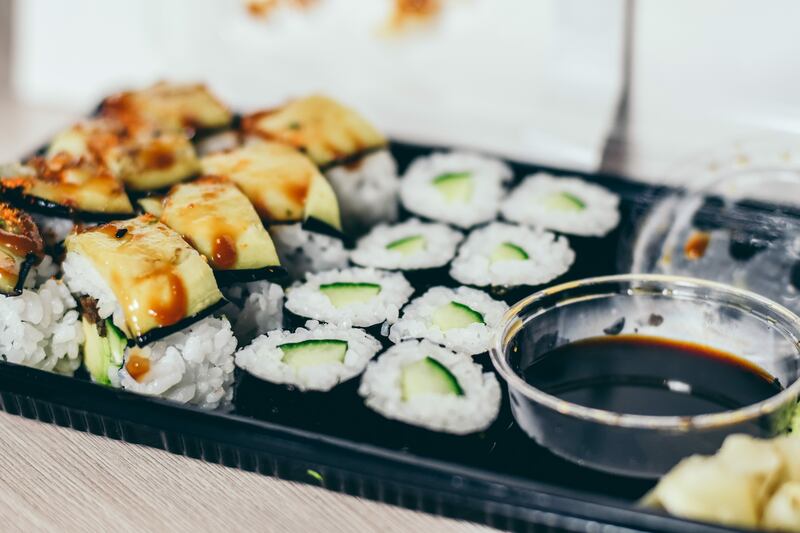 choice, rice cakes and sushi, where the rice often has added sugar to help it stick together, can have a VERY high glycemic index which means that they release their carbohydrate almost immediately, playing havoc with your blood sugar balance. That blood sugar rollercoaster is not conducive to optimal health and will most certainly hamper your weight loss goals. At least these are foods that you can combine with great protein and vegetables, to help slow down the release of carbohydrates and provide added nutrients. So, what are the foods you avoid and why? Do let me know in the comments below. I avoid all the pasta sauces you get in jars…some of them have so much added sugar in it. I used to have them in bolognaise and such dishes, but now find a passata, chopped tomatoes and herbs serve the purpose quite nicely. I’ll grate in a sweet potato if I want it sweetening up. I guess it doesn’t stop at just pasta sauces…most of the supermarket jarshave tons of added sugars and fats. I try to do sauces from scratch where I can (although a home made curry is often where I fall down and if I’m in a rush grab the jars!!!) is there a suitable recipe for a tikka masala substitute that doesn’t take 3 days to prep or need 30 different ingredients in the cupboard?!?! Pasta sauces (and any ready made cooking sauce) are big ones to avoid too! The alternatives you mention are ideal. As far as curries are concerned, the pastes are better than the sauces, although worth checking the label to ensure no added sugars. Otherwise, using a curry powder mix can provide good flavour and means they are all already combined.